29x8mm. 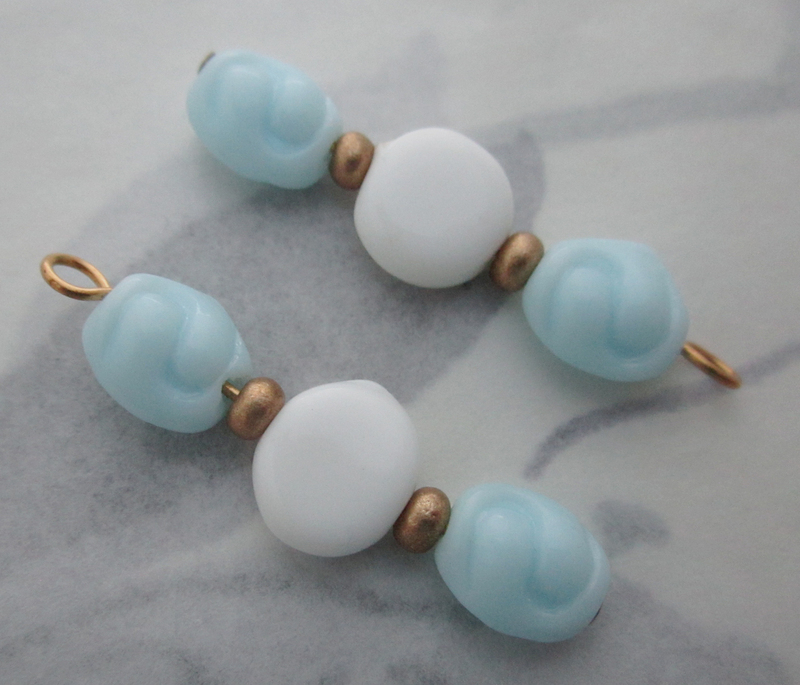 Vintage glass blue and white beads on raw brass wire charms. Jewelry supplies.